Enjoy a fully escorted day rail tour from London to Paris with an English speaking guide. 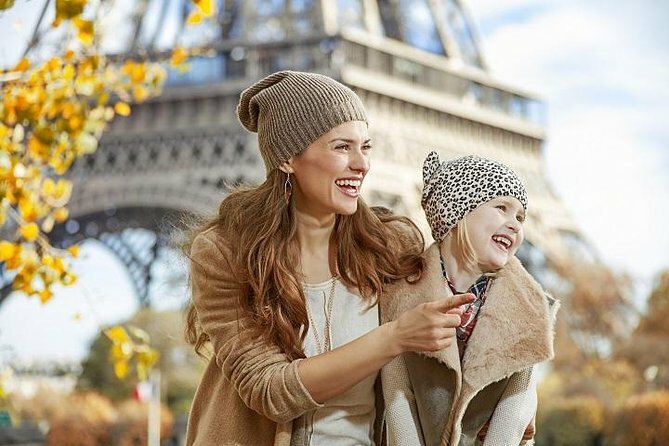 Including return tickets on Eurostar, a panoramic sightseeing tour on a private luxury mini-coach and a a two-hour sightseeing cruise on the River Seine with a delicious Champagne lunch and live entertainment. - Please let us know if you have any dietary requirements by time of booking. Arrive on the Eurostar into the station 'Gare du Nord', one of the six large terminus stations of the SNCF mainline network for Paris. The station complex was designed by the French architect Jacques Hittorff and built between 1861 and 1864. Board your 2 hour sightseeing and lunch cruise while enjoying exceptional vies of the city with your premium seating under the glass canopy, whilst savouring French cuisines at is finest with your 3 course lunch. Your lunch will include champagne, a cheese course and coffee as you cruise around the city of Paris. Enjoy the live relaxing music throughout the cruise, this exceptional lunch experience is guaranteed to be a highlight of your trip. Now a famous landmark, the Arc de Triomphe was inaugurated in 1836 by French king, Louis-Philippe, who dedicated it to the armies of the Revolution and the Empire. The Unknown Soldier was buried at the base of the arch in 1921. The flame of remembrance is rekindled every day at 18:30. The Avenue des Champs-Élysées is an avenue in Paris, 1.9km long and 70m wide, running between the Place de la Concorde and the Place Charles de Gaulle, where the Arc de Triomphe is located. It is known for its theatres, cafés, and luxury shops, for the annual Bastille Day military parade, and as the finish of the Tour de France cycle race. Photo stop at the Louvre, the world's largest art museum and a historic monument in Paris. The iconic Louvre Pyramid is a large glass and metal pyramid designed by Chinese-American architect I.M. Pei, that was opened in 1989. Make your way to Notre Dame Cathedral widely considered as one of the finest examples of French Gothic architecture. Visit the cathedral, admiring the fantastic stained glass rose windows and flying buttresses, before some free time to enjoy Paris’s cafes or a little souvenir shopping.